Excerpts from a piece by Andrew Alli, the former Africa Finance Corp (AFC) CEO, in his debut column for Quartz Africa on separating myths and realities of the role of China in Africa’s infrastructure developments. China firms funded, built and operate Kenya’s new railway. China’s was the fourth largest foreign investor in Africa spending about $40 billion in 2016, according to UNCTAD’s World Investment 2018 report, behind the US ($57 billion), the UK ($55 billion), and France ($49 billion). Construction contracts are backed by Chinese financial institutions—like China Export -Import Bank and Sinosure – looking to support the exports or sales of Chinese products and services. The mission of these financing entities is to support jobs and income generation in China, as well as to support more strategic objectives of the Chinese government. Chinese companies are surprisingly risk-averse when it comes to Africa – most Chinese financiers will not consider a project without insurance from Sinosure, the Chinese government-owned political risk insurer, or other similar institutions. In turn, Sinosure often requires a guarantee from the government of the country in which the project is located. (e.g. 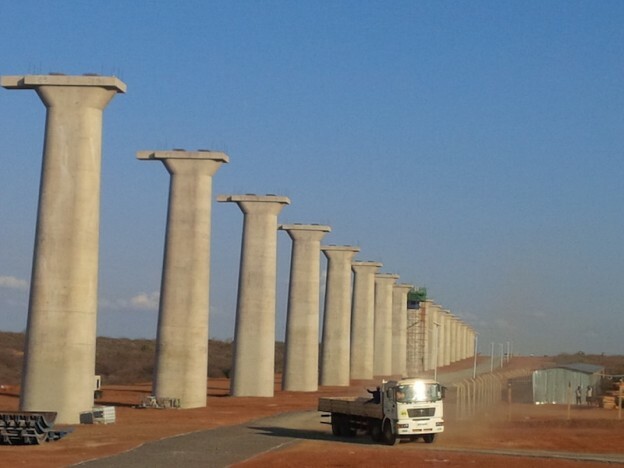 – with Kenya’s Standard Gauge Railway construction, the contracts specify that there will be insurance cover of 6.93% of the commercial loan – done by a Chinese firm, SinoSure, to take care of nonpayment). Sinosure insurance and other financing costs do not come cheap, which leads to the point that Chinese firms are not necessarily cheaper than firms from other countries – and while the bare construction costs of certain projects may seem cheaper, even after equalizing for quality, there are other costs that may apply including the insurance and other financing costs mentioned before, and costs associated with local content. It is true Chinese firms prefer to use all-Chinese inputs. If you want local workers and contractors, you will have to make that a negotiating point. While some work done by Chinese firms can indeed be shoddy, this doesn’t have to be the case. For example, while a Western firm may tell you a bridge will cost you, say, $300 million. A Chinese firm may tell you that you can have a $300 million bridge, or a $250 million one.- and things that may be taken for granted in other parts of the world can be negotiable when dealing with a Chinese firm. You have to be careful to specify the quality that you want and the standards that you would like the project to be built to. You also need to be very specific about the environmental and social standards you want the project to adhere to. For too long the number of firms willing to engage in, and finance, projects in Africa has been very limited, meaning that competition has also been limited leading to high prices and a lack of innovation. The increase in interest by Chinese firms has increased the amount of competition, forcing prices down overall and improving quality. The bleating of companies being forced out of cozy monopolies is probably one cause of the constant refrain we hear about the “dangers” of Chinese interest in Africa. We shaved the costs of that project in Ghana by over 20% from initial quotes by running a competitive process involving a Chinese firm. Share this if you agree with the views. This entry was posted in China, Debt ratings, Donor AID, Infrastructure and tagged China on August 2, 2018 by bankelele. 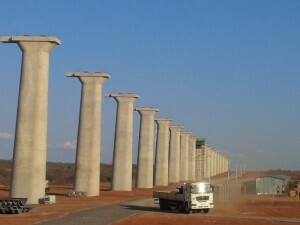 The Ministry of Finance on 4th January 2010 wrote to the Government of China requesting for a concessional loan for the construction of a new Standard Gauge Railway at a cost of USD 2.5 Billion. The funding of the project is not a grant to Kenya but rather a loan that the people of Kenya are going to pay. In the Budget Statement for Fiscal Year 2013/14 delivered on 13th June, 2013 the Cabinet Secretary for the National Treasury proposed an amendment to the Customs and Excise Act, Cap 472, Laws of Kenya, so as to introduce a Railway Development Levy of 1.5 % of the customs value of all imported goods. The loan will cost USD 3.23 Billion from EXIM Bank of China comprised of a concessional loan of USD 1.6 billion and a commercial loan of USD 1.63 billion. The concessional loan is for 20 years and has a grace period of 7 years and an interest rate of 2% per annum while the commercial loan is for 10 years and grace period of 5 years and insurance cover of 6.93% of the commercial loan and interest of six months LIBOR + 360 basis point. The loan has a grant element of 35%. The insurance component is always available for any commercial loan. For China, the insurance cover has to be done by a Chinese firm, SinoSure. The insurance cover is to take care of nonpayment. The major financial implications of the project will be Kshs. 349.44 billion relating to: – EPC contract for USD 3.8 billion covering USD 2.657 billion for civil works, and USD 1.146 billion for facilities, locomotives and rolling stock; Kshs. 8.04 billion for compulsory acquisition of 2,253 hectares of land for the railway corridor; Kshs. 10.6 billion for Embakasi Inland Container Depot (ICD) expansion programme, facility development and container handling equipment; Kshs. 1 billion for land acquisition for the Embakasi inland depot; and Kshs. 3 billion for project supervision. The Government of Kenya has met all the requirements of the EXIM Bank of China which include; an Assurance that the Government will guarantee minimum freight demand for the SGR through execution of take or pay agreement between KRC and the Kenya Ports Authority and confirmation that Railway Development Fund will be used to repay the loan. EXIM Bank of China is currently going through its internal credit approval process following which it will submit to GoK, through the National Treasury the Financing Agreements. The financing agreement has not yet been signed (at the time of the report). There is no financing agreement yet signed between the Government of Kenya and EXIM Bank in China. There is no sovereign guarantee by the Government of Kenya on the commercial and concessional loan from the Government of China (at the time of the report). The National Treasury has undertaken a debt sustainability analysis and to ensure that the SGR loan does not compromise the debt policy parameters spelt out in the debt sustainability strategy paper and is sustainable. In the unlikely event that the revenues from railway operations are inadequate, the proceeds from the Railway Development Fund will be used to repay the loan. This entry was posted in China, Kenya Railways, Kenya taxation and tagged China, Railways, SGR on May 31, 2017 by bankelele.